Massachusetts author Gustavo Kinrys, M.D. 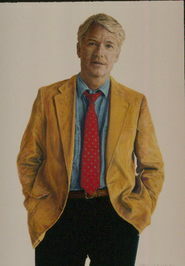 earned his training at Mayo Clinic and the Massachusetts General Hospital and on the faculty of Harvard Medical School where he shares his interest in treatment-resistant depression, bipolar and anxiety disorders, development of novel pharmacologic agents and diagnostic tools for mood and anxiety disorders, cross-cultural and minority issues in clinical trials, and applications of natural remedies and new technologies alone and combined with conventional pharmacologic therapies for treatment-refractory patients. He has authored many articles in his field and has published two books – CONQUERING YOUR STRESS AND FEARS and NATURAL RELIEF FOR ANXIETY AND STRESS. Suggestive of the fine professor Dr. Kinrys is this Preface beautifully describes what the reader will find. His sections are Anxiety/Stress/Fear (very well defined as to etiology, signs, symptoms, causes), Nutrient based remedies, Herbal based remedies, Non-pharmacological treatments – each introducing concepts not available in other resources and explained in a very practical manner. 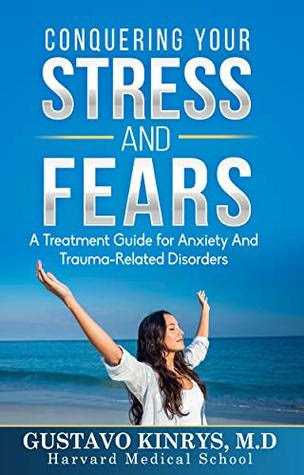 This will soon be the go-to book on treating and healing stress and fear. Highly recommended.